Bvlgari BV8170 is a 57mm Acetate frame made in Italy. The design was released in 2015 by the Italian luxury brand. The shape is Cat Eye with a black full rim frame and grey gradient lens. Signature disc at temples with logo embossing. 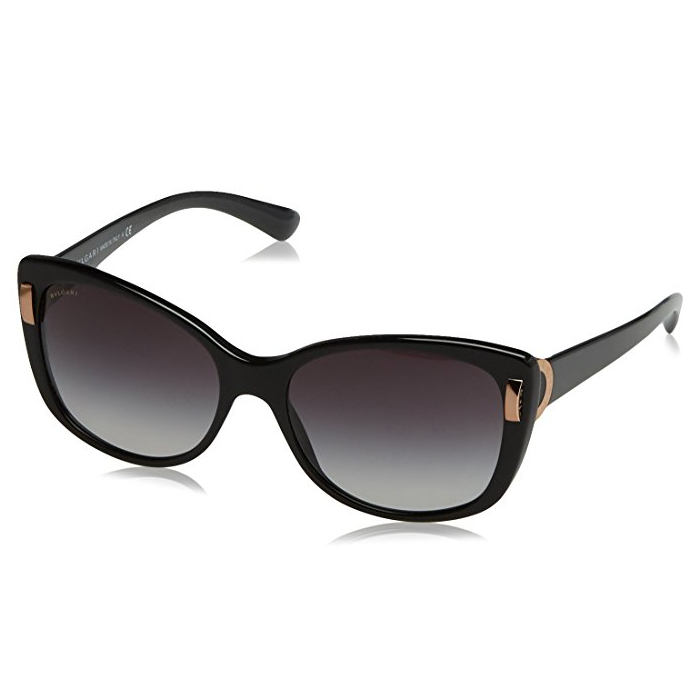 STYLE FILE: Bvlgari BV8170 Black Sunglasses as seen on Kate Middleton, the Duchess of Cambridge.